When I was a kid, I enjoyed building things. I made a lot of model cars, planes, and ships. I also liked going to the beach. Every summer, I spent lots of time swimming and playing at the beach. One day, my parents told me we were going to get a swimming pool. I was so excited! 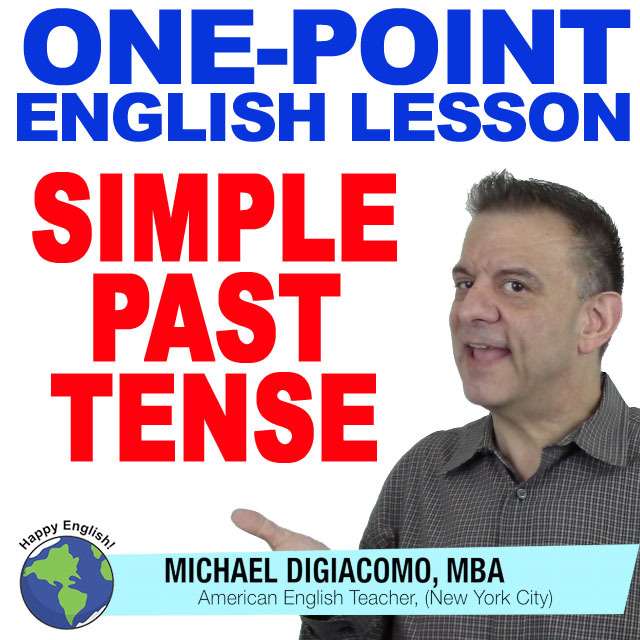 So what do we use the simple past tense for? Well, we use the past to talk about completed actions at a specific point in time in the past. Jack completed his accounting report this morning. We went to Miami last April. Gloria and Sal got married in 1959. The package from the bookshop arrived yesterday. A long, long time ago, an old man lived in the mountain. The mountain was near the sea, and few other people lived there.